The Virginia Folklife Program at Virginia Humanities announces the rerelease of National Heritage Fellow Reverend Frank Newsome’s album Gone Away with a Friend on Free Dirt Records on June 29, 2018. Virginia State Folklorist Jon Lohman and renowned country artist Jim Lauderdale recorded the album ten years ago in one summer evening in the tiny community of Haysi, Virginia, as part of the Virginia Folklife Program’s critically acclaimed Crooked Road CD Series. Gone Away with a Friend showcases Newsome’s remarkable hymn singing and is a testament to one of the oldest and deepest streams of American roots music. Master old regular baptist preacher Frank Newsome. The unalloyed, affecting hymns on Gone Away with a Friend, sung in the old tradition of lined out hymnody, come from the services of Kentucky and Virginia Old Regular Baptists. 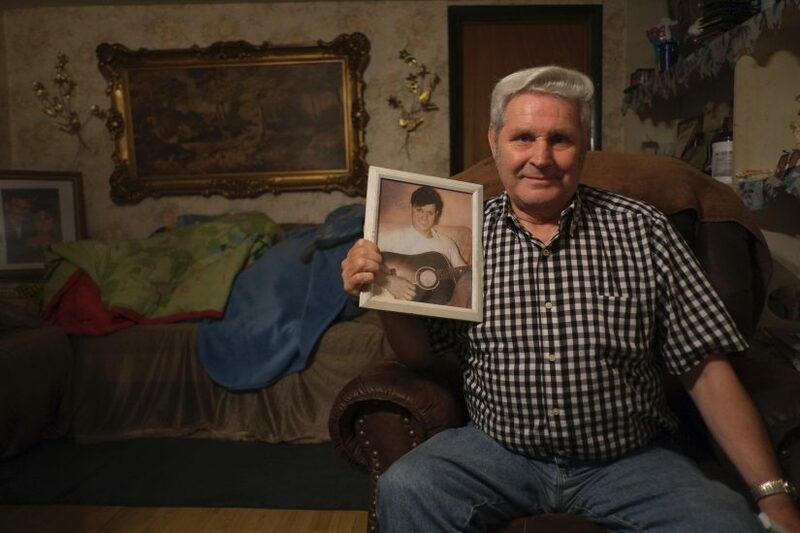 Living in the deep, beating heart of Appalachia, these hymns date all the way back to the British Isles, and the brutally stark way of singing them—in what has become known as the high lonesome sound—comes from there as well. If you’ve heard this sound before, it was probably in the voice of the great Dr. Ralph Stanley, or possibly in the mountain music of Roscoe Holcomb, both of whom grew up singing lined out Baptist hymns. It was Stanley, in fact, who first brought Newsome to the nation’s attention. Stanley attended Newsome’s services at Little David Church in Virginia. Newsome would traditionally open Stanley’s Hills of Home Festival, and it was here that Jim Lauderdale first encountered Newsome’s vocals. Relaying the experience to Lohman, the two decided to set out to Newsome’s church to record these songs. They set up the microphone in the church that evening, and with coal cars rumbling by outside, they recorded Newsome unaccompanied, a rarity in this tradition of hymnody which usually features a call-and-response between the preacher and the congregation. 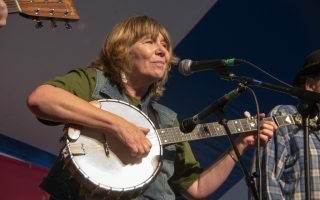 Since this initial meeting, Newsome has become a regular in Virginia Folklife Program activities, including festivals throughout Virginia and the region. 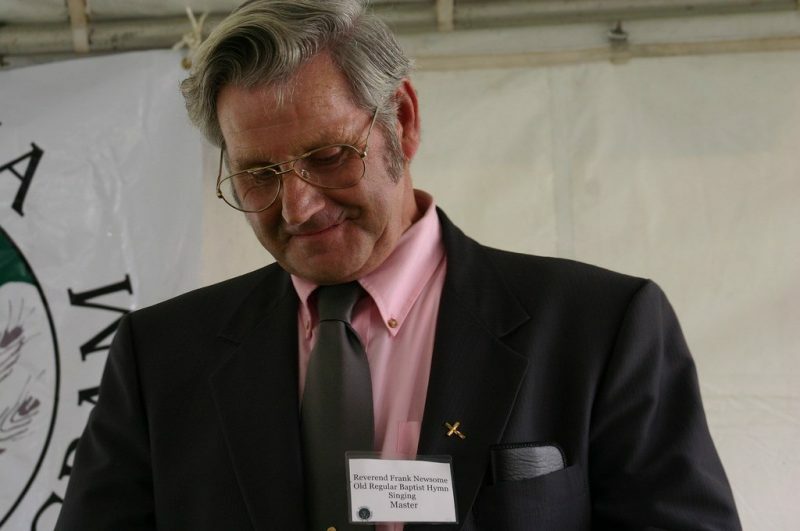 In 2011, Lohman successfully nominated Newsome for the National Heritage Fellowship, the highest honor the government awards to traditional artists, in recognition of the great tradition he bears on his shoulders. Old Regular Baptist preacher Frank Newsome photographed at his home in Haysi, Virginia on 6/16/15. 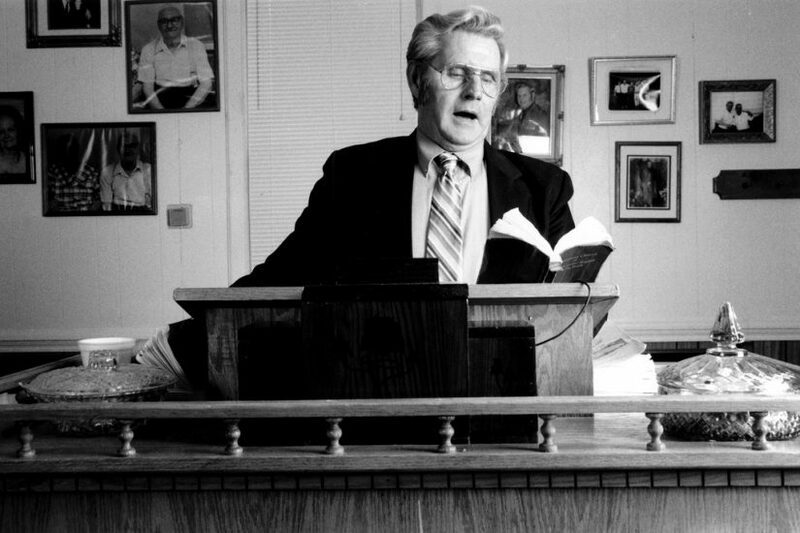 A minister since 1972, Newsome regularly leads his congregation in spirited sermons that blur the lines between speech and song. Since no instruments are mentioned in the New Testament, Old Regular Baptists eschew them and their songs are wholly a cappella. There is no meter to their songs and the lines of the song well up in Newsome’s voice from the sermon. The congregation joins him on each line, the melodies old and haunting, the overall feeling, however, one of joy and relief. It’s a remarkable sound, a sound out of time. But it’s made by men and women who toil long hours and whose vision of God is transportative. The art of the American folk hymn lives strong in Frank Newsome. Gone Away with a Friend is available from Free Dirt, Amazon, Best Buy, and other retail and online locations. 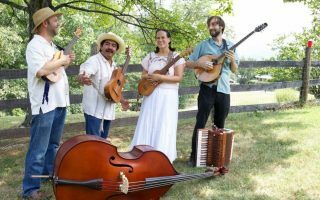 The Virginia Folklife Program, a public program of Virginia Humanities, is dedicated to the documentation, presentation, support, and celebration of Virginia’s rich cultural heritage. For more than twenty-five years, the program has documented the Commonwealth’s music and material traditions and shared those histories through hands-on workshops, performances, exhibitions, audio and video recordings, and apprenticeships across Virginia. For more information, visit VirginiaFolklife.org. Virginia Humanities connects people and ideas to explore the human experience and inspire cultural engagement. 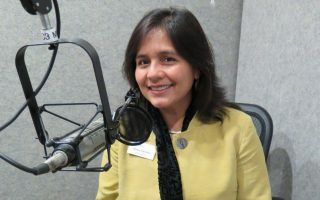 By supporting and producing cultural, civic, local, and global programs for broad public audiences, Virginia Humanities creates opportunities for all Virginians to share their stories and learn about the experiences of others, so that we can explore our differences, connect through what we have in common, and honor the humanity we all share. Established in 1974 and headquartered at the University of Virginia, Virginia Humanities is the state humanities’ council, one of fifty-six councils across the nation that the National Endowment for the Humanities created in order to better insert the humanities directly and effectively into public life. To learn more, visit VirginiaHumanities.org. For more information on Frank Newsome, please visit his National Endowment for the Arts Heritage Fellowship page. Video: View Frank Newsome singing Beulah Land at his church in Haysi, Virginia.